The athletes on men’s and women’s track and field teams have been busy running all over the place, especially over winter break. The team trained, competed, and notched wins at four events: the Opening Meet, the Little Three Championship, the Smith Invite, and the Branwen Smith-King Invitational. Here is a recap of what happened during those meets, as well as some things to look out for the rest of this season. The season officially kicked off on Friday, Dec. 7, with a tri-meeting at home against Trinity and Conn. College. The women’s indoor track and field team recorded five first-place finishes. 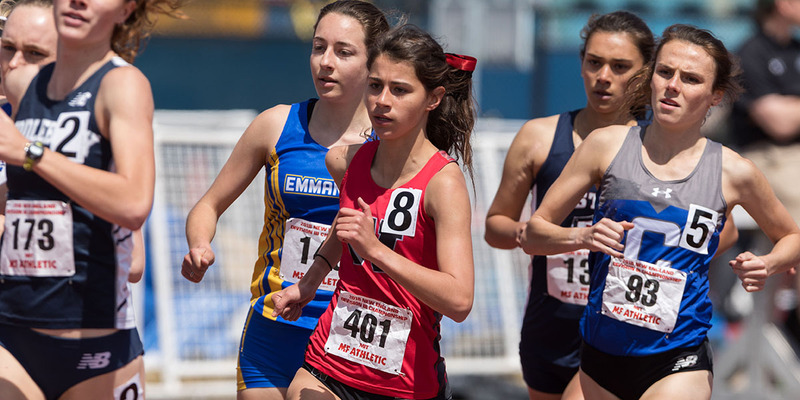 Among the many feats that the Red and Black achieved during this meet, distance runner Sara Pinsonault ’20 notched a first-place finish at the 5000-meter race, clocking in at 18:22.97. Rhoen Fiutak ’19 also finished as the top performer at the mile with a time of 5:14.90, slightly edging the next competitor by just one second. In her rookie debut wearing the Red and Black, first-year Becky Velie placed at second at the 400-meter with a time of 1:01.94. Meanwhile, the men’s team also recorded several impressive finishes. 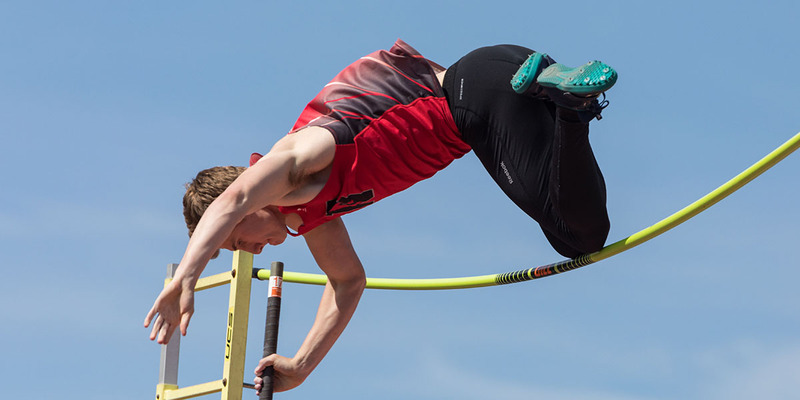 Andrew McCracken ’19 once again put on an excellent performance at the meet, earning first place at the pole vault with a mark of 4.55m. Olaniyi Adebayo ’19 finished second-place at shot-put, recording a mark of 11.01m. On the track, sophomore Kevin DeLoughry sprinted to a second place finish at the 200m with a time of 23.33, while Kyron Roberts ’21 finished second in the 400m with a time of 50.71. On Saturday, Jan. 12, the teams started 2019 by hosting the Little Three Championship against Williams and Amherst. The women’s team came in second place with a final score of 109 points, ahead of Amherst’s 100, but behind Williams’ 142. With the victory, the Ephs secured back-to-back Little Three titles. This meet saw team captain Jenny Aguiar ’19 recording a pair of first-place finishes at the 200-meter (26.44) and 400-meter (58.57) events. Aguiar’s 400m time qualified her for the Division III New England Meet in mid-February, as well as the NEICAAA. On the field, Ivie Uzamere ’21 also recorded a pair of wins in the shot put (11.32m) and weight throw (18.25) events. Uzamere will also qualify for the Division III New England and the NEICAAA events. The men’s team, on the other hand, finished last at the Little Three championship with a score of 100 points, behind the Mammoths’ 124 and the Ephs’ 135, making it the 31st straight win for Williams in the annual Little Three face-off. However, the men’s team still displayed some incredible performances and potential for growth. First-year Christian Denny earned his first-place finish at the 60m dash with a time of 7.24. Meanwhile, DeLoughry finished second at the 400m with a time of 51.02, which qualifies him for the Division III New England Meet. Lastly, the men’s 4x400m relay, comprised of Denny, DeLoughry, Roberts, and Griffin Maristany ’22, spectacularly raced to a first-place finish with a time of 3:28.74. Most recently, the Cardinals competed at the Brawen Smith-King Invitational on Saturday, Jan. 26 at Tufts. On the men’s team, Denny raced to a second place finish with a time of 23.21 on the 200m. Additionally, distance runner Grant van Inwegen ’20 came in third at the 3000-meters, crossing the line at 4:25.12. On the women’s team, Uzamere earned another first-place nod at the weight throw with a mark of 17.96m, while Aguiar also picked up a first-place finish at the 400m, clocking in a time of 58.58. DeLoughry is particularly excited to see how the men’s 4x400m relay, who won first place at the Little Three Championship, will continue to improve as the season progresses. The track and field team will compete almost every weekend this season in meets and races. Next up, the Red and Black will continue their season by traveling to Boston, tonight Feb. 1, to compete at the Open New England Championship Meet.